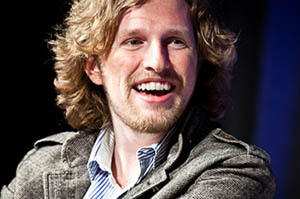 Matt Mullenweg is the founder of WordPress, an open-source publishing platform run by a non-profit foundation, and also the founder CEO of Automattic, a for-profit entity that offers services based around WordPress. We asked him for his reflections on 2011 and his New Year’s resolutions for 2012 because he is an entrepreneur who has achieved great success but also someone who has insights into where the web is going. I worry about the independent web. I worry about the content creators, and I worry that if 100 percent of the distribution of everything starts to go through just a few websites, that kills the vibrancy. A few years ago, Google started favoring some of their own websites over others. They left a path of scorched earth through many prominent businesses and publishers. Facebook hasn’t done that, but they could. And I think that would be bad for the web as a whole. As things like Facebook’s news feed become ever more ingrained in our lives, the knobs they turn are hugely influential. For a year now, I’ve said scripting is the new literacy. That’s something I strongly believe. In Douglas Rushkoff’s latest book, he talks about “program or be programmed.” That is, if you’re not in control of your inputs, you’re not really in control of your outputs either. You’re just a reactionary force. It’s all part of a natural 20-year super-cycle that happens in technology. We’ll go towards AOL keywords and then we get the web. I hope this is the most closed it will ever be in my lifetime. Everyone’s doing app stores now. Chrome has their store, Firefox has their store, and Microsoft is going to launch a store. As distribution mechanisms they’re going to be incredibly powerful, but they’re actually going to end up bringing more power back to the software creators and the developers. Because as they compete with each other, they will all be forced to open up and become better. One of the beautiful things about the WordPress community is that it’s a lot of original content creation rather than just a few things being regurgitated over and over again, which is a fair criticism of what happens on social networks. I think of blogging as a craft. It’s something that you think about, that you try to do your best at. It’s part of your identity. My primary motivator is not money, it’s to make an impact on the world. I’m super lucky in that I’m able to participate both in the for-profit and the nonprofit side. The Open Source side is very fulfilling, knowing that I’m working on something that will outlive me by decades, that’s part of a larger movement on the web. There are 20,000 or 30,000 people that make their living from WordPress. That’s a bigger impact than most companies have. A really well functioning community paired with a well functioning for-profit entity is tough to match for its potential to affect tens of millions, if not hundreds of millions, of people. I’ve become a lot more passionate about running the organization. It’s like the difference between Steve Jobs’ first and second term at Apple. He went from being a visionary to being a leader. Managing is a huge part of that. You need to know the block and tackle about how to run a staff meeting and get critical feedback. You know, make sure the right metrics are being followed in financial rigor. All that stuff which doesn’t come naturally to anybody. Once you learn that, you can take a step back and say, “Five, ten years from now, if we continue on our current path where do we end up? Where does the rest of the industry end up? What matters and what doesn’t?” Which is ultimately the most important responsibility of a leader. Steve Jobs’ passing affected me more than I expected. I think we’re going to enter a golden age of design, just by virtue of thousands and thousands of founders and designers asking themselves, “What would Steve do?” The things that these people will create will be even bigger than Apple. That’s part of his legacy. I like the human face to technology bit and the acceptance that technology can become overwhelming. I think more tech entrepreneurs should help users deal with the deluge of information rather than adding even more information to an already overflowing knowledge stream. As someone once said, and the big data debate supports this, the future belongs to the information curators, not the information creators. I actually like that as an entrepreneur, he brought up physical activity. I find that its critical to get a good oxygen rush in at least a couple times a week as well. ….More Humane should be about reversing the flow of “VALUE” from “COMMUNITIES”” to “corps”…This should be the next phase of and evolution of tech…. This gave me some ideas. Now, I’m having trouble with my resolution: Be a better manager or be a better leader? I think there’s a difference between the two. I would love to see technology humanized this year and we have a lot to clean up amidst all that clutter. More success to all this 2012! I feel sorry for you, and all people who have such shallow, politically correct introspection. GREAT!!! I agree with you about women being more hesitant. I also want women to push for society to accept us as Mom’s and Dad’s with lives. The American workplace is not child friendly and we shouldn’t have to sacrifice our family’s quality of life for careers, or vice versa. At least this is the case in the entertainment industry. I hope we can stop working crazy hours and spend some time with our families and friends. Nice post Mr. Hesse and I’ve been a loyal Sprint customer since the year 2000 but you guys still screw your existing customers under contract and always favor new customers when new handsets come out (which is pretty rare). But, you guys still are the best of the big 3 in the US. If you look at the world through a pair of eyes then naturally we surmise that there might be more considering the lack of use of the most part of our brain…then stating that we might neurologically partake of data and images in the future is plainly stating the bleedin obvious. I see that we strive forward as a collective group of engineers trying to convince the world that 3D is the next step…when it may damage eyes to the point that we had better, and pretty soon find the answer to the absorbtion of images neurologically because we may be on route blinding a generation….The folly of the human being and the “no sir nicotine is not harmful” attitude of businessmen is a frightening legacy! it does not matter if the net is open or closed, what matters is the extent of run time criteria vs compile time criteria. we live in a world of power gradients, which are maintained indicating the absense of a countervailing force. this is possible if resistance buildup is nipped in the bud, which requires run time criteria. It’s fairly irresponsible to say this without justifying it. Which Google services are you referring to, and which businesses were hurt by it? There are many individual cases you could be referring to, with varying degrees of debatability. GREAT article. But linking from the “12 tech leaders’ resolutions” was both inaccurate (given there are no “resolutions” here) and unnecessary (as I was enticed to come to the article via an NRF newsletter linking this and that newsletter gave a quote from this particular article – I have no interest in reading tech leaders’ resolutions). Further it was difficult to get to this page from the page introducing the 12 leaders’ resolutions, as the text on the photos was in many cases unreadable, especially for this Mullenweg article. I got to this as I could make out the “Open” word and guessed this was Mullenweg’s likeness. Second attempt at commenting – seriously, my comment doesn’t appear and no notification like “pending approval of the comment” because I chose “guest” instead of one of the commercial services? Fine, I logged in via Twitter this time. But this really needs to fix its messaging and/or technical issues (I’m not sure which it is). Apologies if this resulted in a double post. A GREAT article but please note that grouping it under “leaders’ New Year’s resolutions” was wholly unnecessary and misleading (given there were no resolutions, and anyway I did not go to this article because of “resolutions” but rather because I saw a quote from the article in an NRF newsletter regarding the increasingly closed nature of the web). And it wasn’t easy to get here from the page that showed the photos because the text was poorly printed in contrast so that many of the names I couldn’t read, I happened to guess correctly at Matt Mullenweg’s likeness. Philip has a lot to say , but there is a silicon valley assumption hidden here that no company is valid unless it has VC investment and makes a quick exit. Anything else is derided as a “lifestyle business.” When you take VC or angel money you instantly change who your customer is. No longer are you solving a problem for a million people, you are now solving an investment criteria for a very few investors. Don’t do it. Find a small enough piece of the market/problem and using you own funding go to market and grow organically. Keep focused on your real customer. They have far more money that any VC. Only take money from friends and family who are giving you money because they love you. Think Bill Gates, not Google. The math is rather simple. A typical VC funds less than 1 in 100 business plans that they see and 90% of their funded businesses are failures (by VC standards). Why would you want to twisted your life’s work for such slim odds. Brilliant post and I shall print it out and pin it down on magic board! Good Article….But I think that looking for funding may not be synonymous with technology that brings about “real” and “Lasting” change. I still haven’t got out of “Stay Hungry, Stay Foolish” of Steve Jobs and now you are giving me “Stay Nervous”. I would say “Stay Cool”. Mullenweg makes no reference to photographing food in this interview. I’m suspicious. Why shouldn’t they? ABC advertises ABC shows and not NBC or CBS’s. This is one reason why some people and companies create large networks (whether they are broadcast or information networks); to help promote each other. “A few years ago, Google started favoring some of their own websites over others” I am happy for google to provide me an option “do you want our services to be displayed first or not” and I’d check that blindly because so far, google’s services have been much better at providing me with what I need. Putting Steve Jobs and open web and open source in the same article is blasphemy. I don’t know how you can connect the two and be serious. He was the embodiment of everything you are afraid of. Proprietary platforms driven by locking users in so they cannot leave and have to keep buying things for him under the excuse of “experience”. And the reason why others will try to think about what would Steve do is because everyone saw that locked down, proprietary approach is making A TON of money. He single-handedly contributed and instigated what you are afraid of. Steve Jobs was successful in many ways. There are lessons that can be learnt from what he did, and those lessons can be applied to any technology, be it open source. And user experience is not an excuse. Its the reason people buy things. Try making stuff without it, and see if you are able to sell a single piece of it. apple being closed does not mean that one cannot browse certain sites. think of apple as a company that charges double ( consumers hate that) but delivers half tco (businesses love that). and it is able to pull that off only by keeping certain things closed. May be so, but 2 weeks into my new Android phone and I’m still struggling to export MY sms text messages from MY iPhone. Even Apple support doesn’t respond to my requests for help with this. I think they forget I was a customer for many years, and if this was easily resolved I could become a customer again! He it the nail on the head about consumer vs. business products. Excellent. Pure McNealy. Punchy, invigorating, real, entertaining. If I was a Cisco exec, I’d be more worried about Huawei than advocating for women. You want to advocate for women, become a lobbyist.